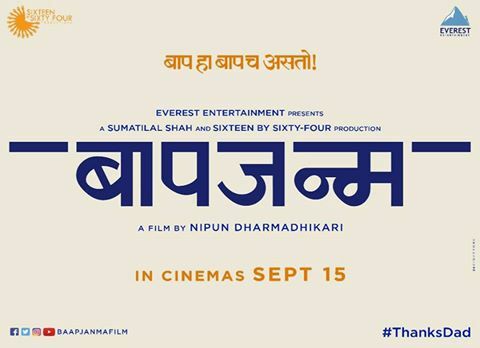 "Nipun Dharmadhikari" is coming-up with his directorial debut Marathi film 'Baapjanma', which is set for release on 15th September 2017. The official announcement was made by Sanjay Chhabria of Everest Entertainment who are presenting the film and Sumatilal Shah and Sixteen By Sixty Four Productions who are producing the film. 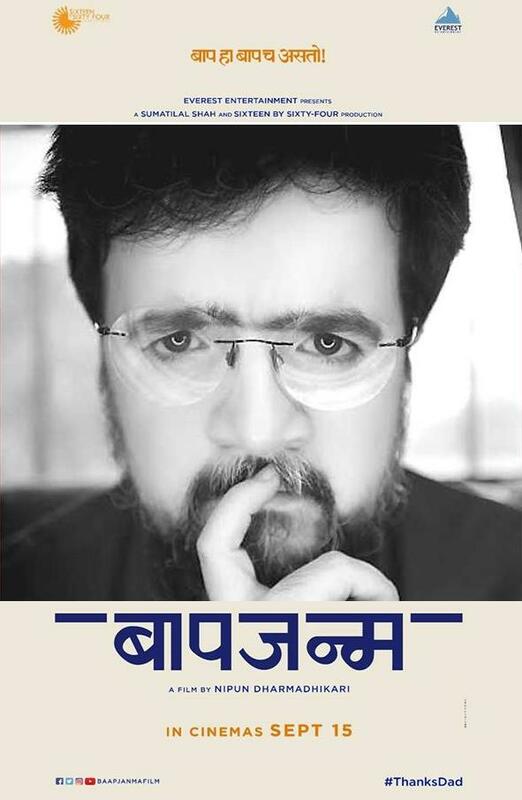 Nipun Dharmadhikari is a well know name in theater circuit as actor, director and producer, Nipun has founded "Natak Company" in 2009 to stage and produce Marathi plays, he has been featured in the "Forbes" magazine as a musical play revivalist which is a huge recognition which he has got on a world-class level. In past he has acted in 2009 Marathi film "Harishchandrachi Factory" and written a screenplay for bollywood movie "Nautanki Saala". Nipun is also seen on a youtube channel "Bha Di Pa" where he and "Amey Wagh" are hosting a celebrity talk show "Casting Couch" which has became popular among the audience. The film title 'Baapjanma' and Nipun Dharmadhikari name associated with the film has already aroused the curiosity among fans. It will be interesting to watch the starcast of the film.